Japanese Hake brush is ideal to use with photographic emulsion. 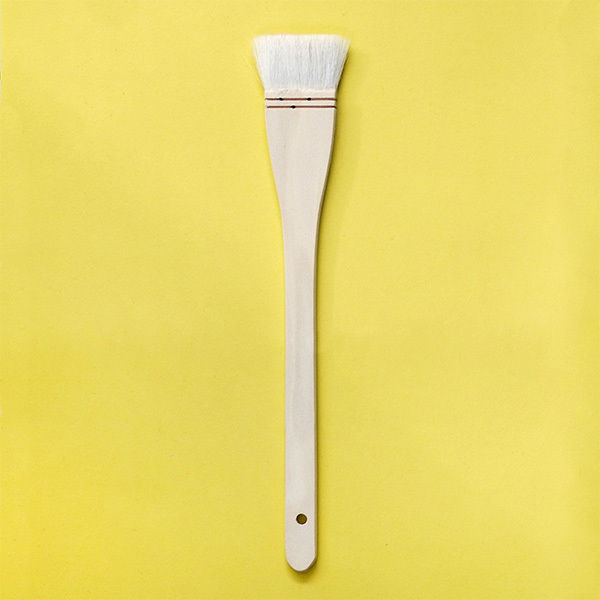 This brush will hold a good amount of emulsion when you coat your paper and give you distinctive brush marks. With a long, plain wooden handle. The bristles are flat and wide, soft, white goat hair. 1.5 inches wide (38mm). Gentle enough for delicate Japanese papers and tissues, alongside thicker art papers, such as Arches Platine. As well as alternative processes you can use this for a variety of conservation uses, from cleaning to repairs. Also a good brush to use in any situation where you dust, wash, size, mount, glue or spread any thin media.